Japanese Handmade 8-layer-gauze Baby Bib ゜.+° Material ゜+.゜ the front side: cotton 100% double gauze the back side: cotton 100% double gauze 2 sheets of double gauze between the front and the back sides ゜.+° Size ゜+.゜ the length around the neck: approximately 30cm the length under the neck: vertical approximately 11cm, horizontal approximately 18cm ゜.+° Comment ゜+.゜ This bib is made of 8-layer-gauze. 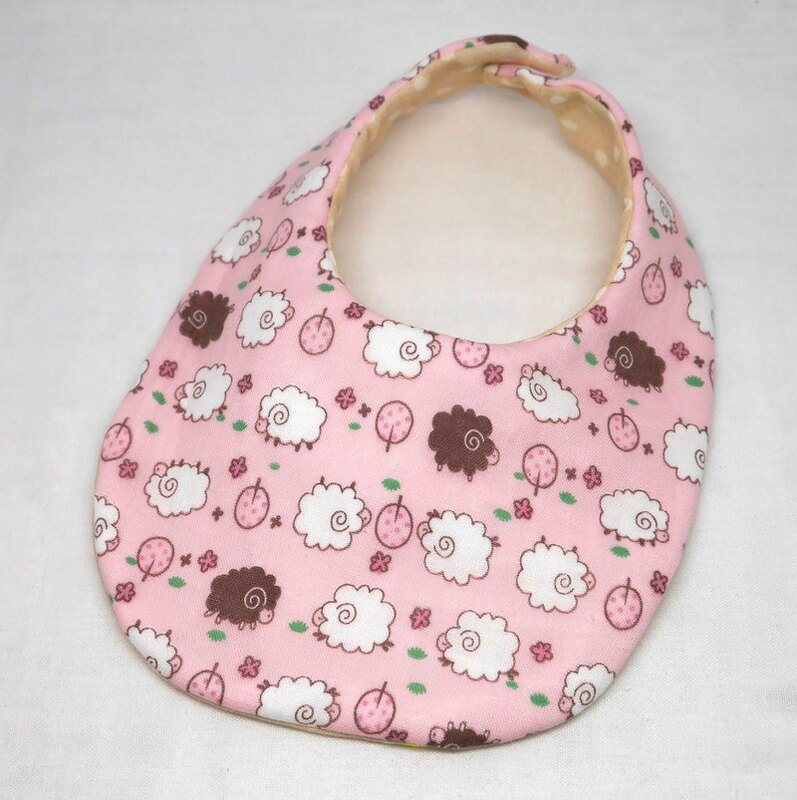 ・excellent absorption for baby drool ・fast drying after washing ・soft touch to your baby's cheeks ・The absolute fashionable pattern This bib is suitable not only for your own baby but also for your friends' babies as your gifts to them! Some small black dots on the top is something like crushed cotton shell, not dirty. The pair of snap buttons are made from plastic. You can use this button safely even if you have metal allergy. These plastic snaps are really weak for heat of iron. The bib in this picture is just a sample. Please note that the patterns are different one by one.